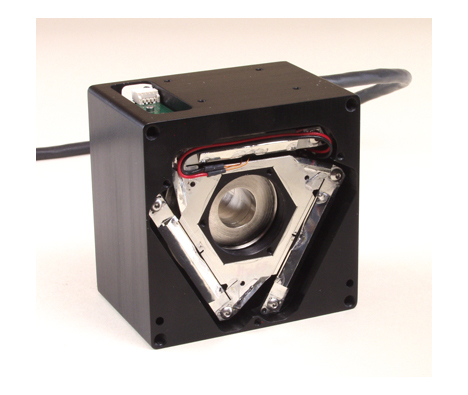 Forestville, CA, —The LFA-1205 Linear Focus Actuator is a high performance compact positioning system. 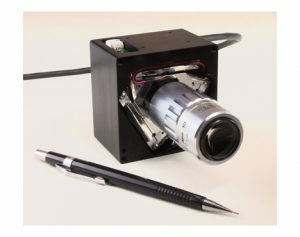 It was specifically developed for optical applications requiring both high precision and high-speed positioning over a short to medium stroke. The LFA-1205 is well suited for optical focusing and other micropositioning applications such as scanning interferometry, surface structure analysis, disk drive testing, autofocus systems, confocal microscopy, bio-technology, semiconductor test equipment. Note that this motor is normally configured with an analog position feedback sensor and can be optionally equipped with a digital quadrature feedback element. The key to this products immense success is its novel tubular architecture. This arrangement provides a means to send the optical path directly through the middle of the motor. The moving optic attached to the motors ‘C-mount’ is not cantilevered and so has no torques. The LFA-1205 Linear Focus Actuator is directly compatible with the SCA814 Servo Controlled Amplifier.